Although states across the nation are decriminalizing and legalizing marijuana for recreational use, it is still a Schedule I controlled dangerous substance under the Controlled Substances Act and illegal outside of regulated medical use in Florida. Florida’s laws differentiate between the possession of a small amount of marijuana for one’s personal use and the possession and trafficking of larger amounts with the intention of selling it. Both instances of marijuana possession are criminal offenses. How is Personal Use Defined? Under Florida law, possession of less than 20 grams of marijuana is considered to be possession for personal use, or “simple possession” of marijuana. This is a misdemeanor charge that can be punished by up to one year in jail and a fine of up to $1,000. Possession of more than 20 grams of marijuana is a third degree felony charge for which you can face up to five years in jail and a fine of up to $5,000. A marijuana possession conviction can also result in a driver’s license suspension for the defendant. This is true regardless of whether you had the drug for your own use or with the intention of selling or giving it to another individual. Marijuana trafficking includes the sale, purchase, distribution, or transport of 25 pounds or more of marijuana. This is a felony charge, the grade of which depends on the amount of marijuana the defendant is found to have trafficked. Penalties for a marijuana trafficking conviction range from five years to lifetime imprisonment and a fine of $5,000 to $200,000. Whether the offense was committed within 1,000 feet of a school, college, or park. The sale or delivery of marijuana within one of these zones is punishable by up to 15 years in prison and a fine of up to $10,000. Never assume that a marijuana charge is not something to take seriously. Like all types of drug charge, a marijuana-related conviction can change your life. 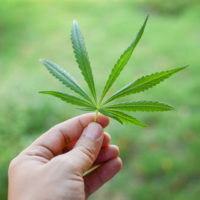 If you have been charged with marijuana possession, even if it is your first time facing such a charge, you can be subject to fines and jail time. Contact our team of experienced Miami criminal defense lawyers at Ratzan & Faccidomo, LLC today to set up your initial consultation with our firm, during which we can examine your case more closely to determine an appropriate defense strategy.